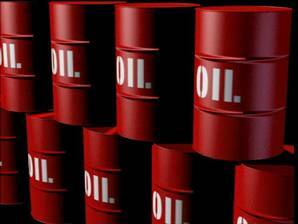 Ghana got $107.9 million as its share of revenue from oil exports in the last quarter of 2012. That came from 994,646 barrels of crude lifted by the Ghana Group — the Government of Ghana (GoG) and the Ghana National Petroleum Corporation (GNPC) — within the three-month period. Data released by the Ministry of Finance and Economic Planning (MoFEP) further showed that 7.8 million barrels of crude were lifted from the Jubilee Field, out of which 6.9 million went to the five partners of the field. The data also indicated that $65 million out of the $107.9 million gross receipts remained as net receipts to the government after the necessary deductions — royalties, equity financing costs, carried and participation interest, among other deductions — had been done. All petroleum receipts had been allocated as required and would be reported and published in accordance with the law, the data, which was signed by the Minister of Finance, Mr Seth Tekper, noted. It, however, showed that partners of the Jubilee Field, led by Tullow Ghana, were yet to pay corporate tax to the government following their inability to make and report profit within the period under review. This means that the country is yet to earn a pesewa as corporate tax from oil exploration and production (E&P) companies, two years into oil production at Cape Three Points off the Western coast of the country. Corporate tax is 25 per cent of a company’s profit and will be nil, as is the case with the E&P companies, should the company concerned report no profit. Also, the fiscal regime entered into by the government and the companies allow for cost recovery of 20 per cent per annum over a five-year period. As a result, any profit made by the companies will be returned to them and declared as cost (expenses incurred by the companies from 2007, when field and well development and appraisals started, to 2010, when actual production took off). About $4.2 billion was expended by the five companies, collectively called the Jubilee partners, within that period, according to data from them. Per the contract entered into with those companies, that amount must be recovered as capital allowance or cost before they can begin to declare profit and subsequently be in a tax-paying position. That notwithstanding, the government budgeted for GH¢660 million as corporate tax from the petroleum sector in the 2012 budget, a target it will not realise.